The launch of Operation Siracusa in May 2017 marked the fourth consecutive year in which volunteers engage in night and day patrols in the Plemmirio Marine Reserve to help local officials protect and defend endangered dusky groupers and sea urchins from poachers. The campaign ended successfuly on June 25th with a total of 31 interventions over 45 days. 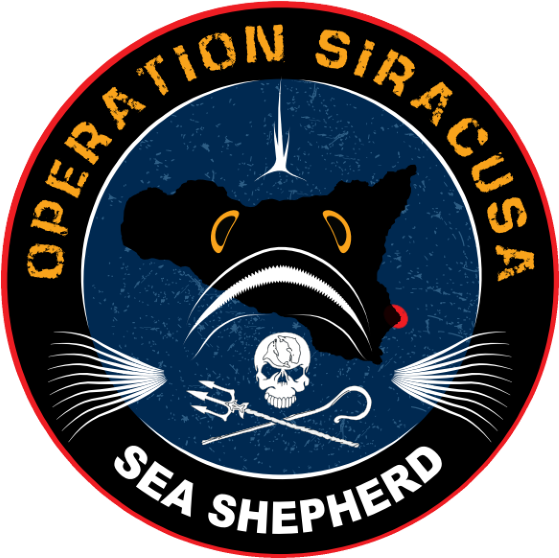 Operation Siracusa partnership with the Italian authorities to stop poachers in the Plemmirio Marine Reserve. Photo Sea Shepherd Italia. Sea Shepherd volunteers on the cliffs above the Plemmirio Marine Reserve. Photo Sea Shepherd Italia. Poachers caught red-handed in the Plemmirio Marine Reserve by Sea Shepherd volunteers. Photo Sea Shepherd Italia. Poachers arrested after Sea Shepherd volunteers alert local authorities. Photo Sea Shepherd Italia. Poachers caught taking sea urchins from the protected Plemmirio Marine Reserve. Photo Sea Shepherd Italia. Volunteers patrolling the cliffs above the marine reserve. Photo Sea Shepherd Italia. Captain Peter Hammarstedt participating in a night patrol on Operation Siracusa. Photo Sea Shepherd Italia. Using the drone to capture images of poachers in the marine reserve. Photo Sea Shepherd Italia. Read the latest news from Operation Siracusa here.